Jonathan Edwards is widely hailed as the greatest theologian in American history. In Edwards on the Christian Life, Dane Ortlund invites us to explore the great eighteenth-century pastor’s central passion: God’s resplendent beauty. 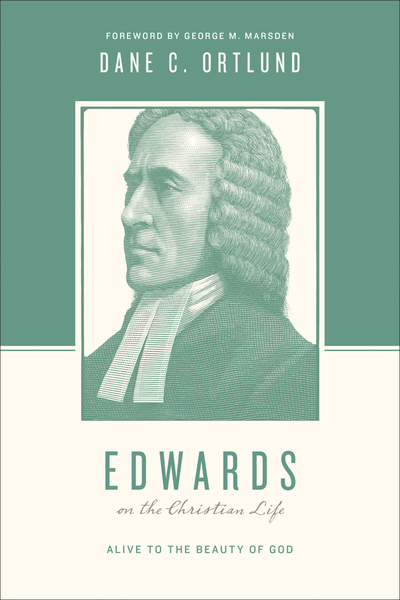 Whether reflecting on the nature of love, the preeminence of Scripture, or the glory of the natural world, the concept of beauty stood at the heart of Edwards’s theology and permeated his portrait of the Christian life. Clear and engaging, this accessible volume will inspire you to embrace Edwards’s magnificent vision of what it means to be a Christian: enjoying and reflecting of the beauty of God in all things.